Up until now, I refused to buy maternity clothes that I would wear for two months and never get use of again! That all ended when I found Mountain Mama. I no longer have to wear over-sized sweaters and my husband’s jackets; Mountain Mama designs garments that are guaranteed to fit before, during, and after pregnancy. 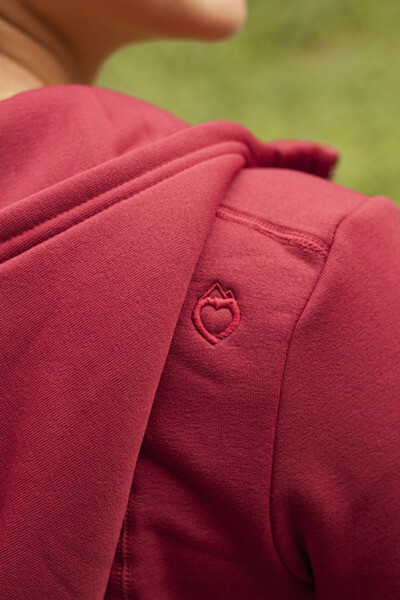 All Mountain Mama apparel is built to perform through every stage of pregnancy and beyond. Their high-performance outdoor clothing adapts to women’s changing bodies, from the first trimester, the growing baby-bump, and back again. Innovative designs and advanced technical fabrics mean the garments will be keeping you comfortable and looking great, no matter what the conditions. Mountain Mama also makes all of their garments in California using American textiles milled by a unionized workforce and all are Blueline certified. With the strictest environmental standards in place for textiles, I’m certain that I’ll be wearing clothing that is also “hugable” and heart-warming for my precious baby girl; after all, I want to keep her close to me for as long as possible. I’ve learned from all of my parent readers that they grow up too quickly! On the cool California nights and during mountain hikes, I’ll be sporting my Lassen Hooded Maternity Jacket. It combines an extra high neck, fitted hood, thumb-cuffs, and thigh length cut with the amazing 4-way stretch of Polartec PowerStretch to create the perfect maternity jacket for all stages of my pregnancy. I paired it with the Juneau Fleece Pants for the ultimate blend of comfort and style. To complete the outfit, the Clouds Rest Babelayer Maternity & Nursing Crossfront is the most versatile piece yet! Made with ultra-wicking, super-stretchy Polartec PowerDry, it fits my growing belly to term and snaps back to become a quick assess nursing top to wear in the “fourth trimester” and beyond. I can’t imagine a better fit for my lifestyle so watch for my Mountain Mama clothing for months to come! This entry was posted in Backpacking, California, Camping, Hiking, Maternity, Newborn, Newborn Products, Outdoors, Photo, Photography, Pregnancy, Pregnant, Product Reviews, Travel, Uncategorized, USA, vacation and tagged adventure, Babies, Baby, Baby Product Reviews, Baby Products, backpacking, California, Camping, Family, Getaways, Hiking, landscape, life, Outdoors, photo, Pregnancy, travel, USA, vacation by lesleycarter. Bookmark the permalink. Cool maternity gear! I always had to wear maternity clothes starting around 10 weeks because I got so bloated and I work in a law office — oversized sweaters and my husband’s jackets wouldn’t cut it! My favorite maternity clothing company is Lilac. Amazing fit and super-cute! 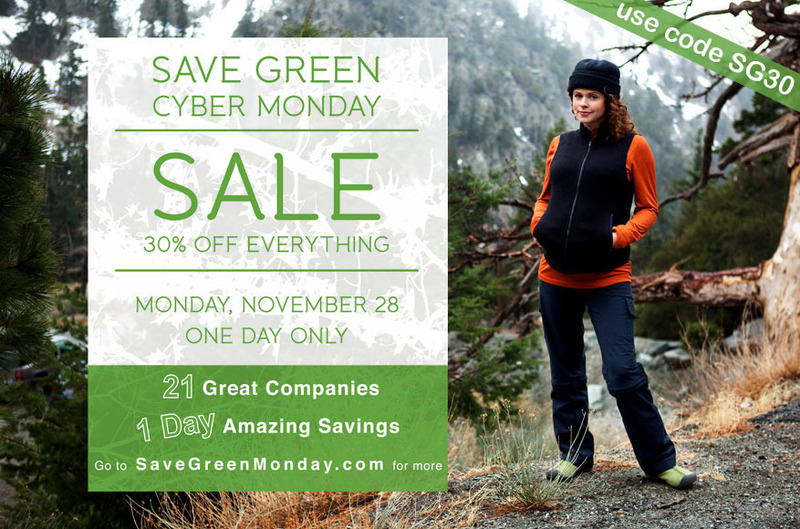 Mountain Mama is the first company I found that made clothes that fit me well! I always have pants that are too long, even though I’m average height at 5’7″, and shirts that didn’t fit over my belly or made me look five sizes bigger. I actually feel comfortable as I type in my Clouds Rest Babelayer. I wish I had awesome pregnancy clothes! I got so tired of trying to find clothes when I was pregnant I went to the big and tall men’s department and got very long shirts. And the good old stand by sweatpants so I could move and do stuff! Mountain Mama clothes are so prefect for me and my lifestyle! I couldn’t be happier with my garments! I can’t wait to wear them over and over again while I create new and lasting memories with my baby! Where were these awesome clothes when I was pregnant??? Sheesh…lucky you for finding them. It always makes you feel so much better to be wearing things you feel good in! I feel like a million dollars today. My Clouds Rest Babelayer is beyond comfortable! I’ll be testing out the durability this weekend while hiking. 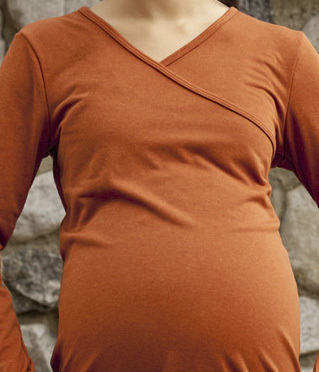 Maternity clothes like what Mountain Mama offers are a great gift for expecting mothers. Most times, the focus is on baby products, which is important, but the mother is forgotten. I spent so much time and effort looking for the perfect products for my baby that I forgot all about myself; I’m sure other mothers do the same. I’m now 6 months pregnant and it’s the first time I bought something for me. Thank you! I’m excited to try out my new clothes while hiking and camping this weekend. I’m so in love with all of their stuff! I was just checking out the Clearance section now. I wish I had known about this before I bought pretty much all my maternity clothes! Awesome…and so cute! They are having a sale today and have a clearance section. I’m looking at also getting a few different color short sleeve t-shirts for around the house. Wow those clothes look so cool! What a neat idea! I’ll be able to wear all three pieces for years to come. They don’t look like maternity clothes, yet they fit perfectly while I’m pregnant. I love them! Until they come out with latex or mesh maternity clothing, I’m afraid they’ll be missing out on a large percentage of women. This is very sad. Why should a girl have to stop wearing her favorite studded latex bodysuit just because she’s pregnant? It’s preggist. Neat! I bought most of my maternity clothes at thrift stores and others my mom bought for me. I don’t think my husband would’ve let me spend that much on pants though….but they look super comfy! I wish more companies made maternity clothes more flexible. I am not pregnant (yet), but many of my friends are. These look great and will make great gifts! Thanks for sharing! Wow.. the pretty maternity clothes they make these days (don’t I sound old:) Lucky you!!! Things have improved so much since I had mine. I am glad you fun what you need. Hi Lesley – Thanks for the ‘like’ on my blog! I’ve finally come to check out your blog, just read the skydiving piece and am in total awe of your adventurous spirit. But you are correct in thinking that the biggest adventure lies ahead. It sounds like cliche but it’s a whole different world after you have a child. Re. the maternity clothes… I too put it off as long as I could, especially when it came to the ‘fat pants’. One of the best purchases I made was a maternity bathing suit – don’t forget to go swimming in the last months, it feels absolutely fantastic. That’s awesome! I’ll admit I have no desire to have a kid, but it’s good to know there are maternity clothes for adventuring out there. Just in case. (: Your little one is going to be so lucky to have parents with such enthusiasm for exploring. I think I might need Mountain Mama even though I’m not pregnant!! Go Lesley!! and enjoy your hiking! It’s about time they did something like this. The clothing is cute too! Ooh, those are cute. I have my old maternity clothes, but SURELY I’ll need new ones when I get preggo with the second one. That’s pretty neat. Stretchy fabrics makes me think it’s polyester, though…is that right? I’ve read that polyester can cause cancer. Not sure if that’s a real issue or not. you want to feel good when you’re pregnant. i think clothes help with that. plus, even regular clothes are often only worn for a season…so go ahead treat yourself! Great find! Usually maternity clothes is pricey and you can’t get much use out of it after a couple of months. You are right by wanting to make the most out of the baby stage; that will be the time to create an eternal bond with your little girl. The do grow too quickly, mine are 8 and 9 and I am already starting to get a glimpse of the pre-teen and teen years’ drama. They still look up to me and enjoy my company but that won’t last long so I’m milking it! great blog… wish these had been around in my pregnancy days…. I love how they look so cozy! Tru2Cntry… I love all your blogs too! Keep it up!!! This is just so cool! We’ve come along way Baby! I was pregnant in 1073 and again in 1976. I am 5′ tall and was 99 lbs soaking wet. Our first baby I got away with just wearing over sized clothing and it looked prpfessional enough for work. Second time around? Not so much. I’d have gone to the ends of the earth for clothing like this from Mountain Momma’s Really brilliant and I love that they are all USA created. I may consider a piece or two even now. Nice find Leslie!! Thank you for posting this! I will check it out. The clothes look so comfy! I just wore the jacket for a walk this morning. It was perfect for the cool morning breeze. The clothes look beautiful, I love wearing beautiful clothes but when I was pregnant with ny twins I spent almost the whole time in a psir of denim overalls a friend gave me they were so comfy and I was so big I loved those overalls. I love your blog thank you for stopping by mine. Children are the greatest adventure. I still look at mine 28, and 2×17 yrs and am totally in love. To have the joy of raising a child to become a strong competent adult who can do the same with their children is such an amazing gift. Enjoy the days some will be difficult and frustrating, others full of fun. I’m not pregnant…yet…but it’s good to know these kind of options for mommies-to-be exist! Lesley, I simply love your writing style! I was hunting for help on SMUG MUG, noticed 3 bloggers that liked the post! Clicked on the first little block, and too wild, I now have a block! Love the maternity post! I related! Loved how you were able to invite me in as the reader, yet I felt I was experiencing the adventure! What did you write before treating the world to your blogging? When are you due? Thank you! Thanks for the encouraging words. I’m due in March and I can’t wait to experience new countries, cultures, and adventures with my daughter, and my husband, at my side. Keep reading and keep commenting; it’s appreciated.